We decided to stop in Norseman for two nights mainly as we were tired of driving and moving on every day. We had arrived late afternoon and just set up the basic camp before heading off for a shower to cool down and preparing dinner. Exhausted from a long day in the car we crashed early. We were somewhat thrown when we woke up to daylight but that it was only 6am. 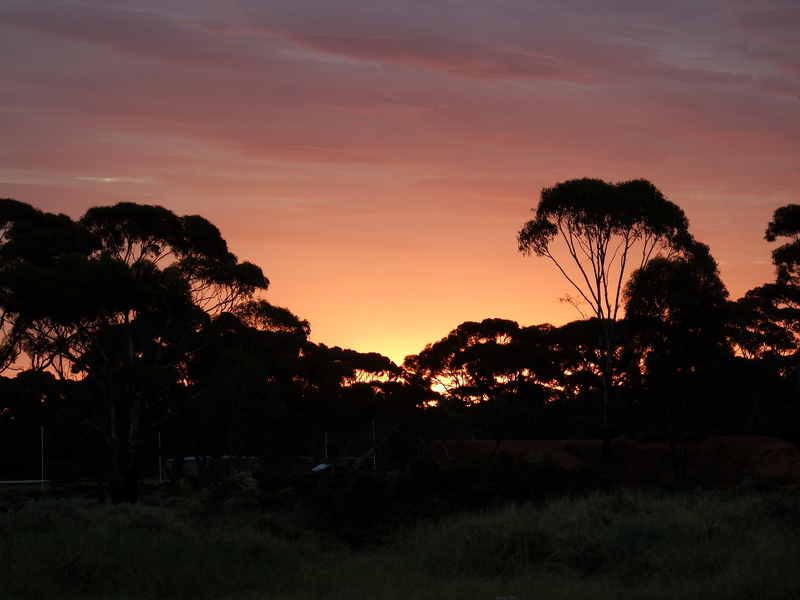 Coming from SA where daylight savings was in full swing, sunset had not been until around 9:30 in the evening. Now in WA where there is no daylight saving the sunset was around 7pm. The sunrise were correspondingly earlier. This was going to take some getting used to. It was already 32 degrees at 9am. The exertion of toweling off after a shower led more sweating. This was going to be a long day. A top temperature of 45 degrees was forecast. 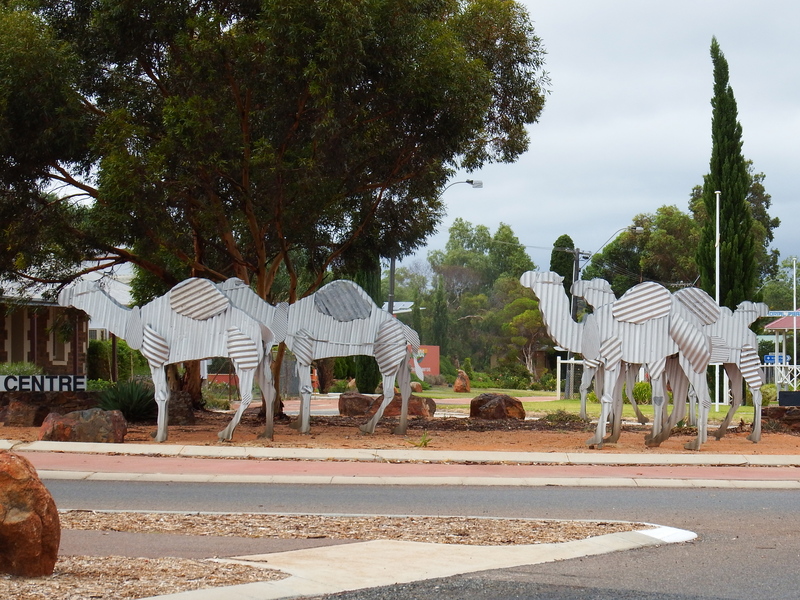 We popped into the visitor centre, but there weren’t any local attractions in town that appealed in this heat. 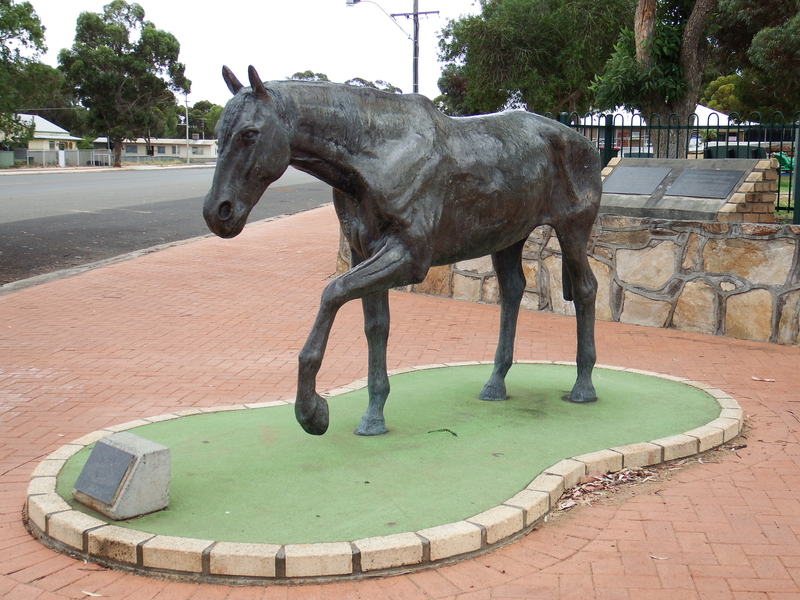 We took a couple of photos of the town’s famous tin camels at the main roundabout and of the statue of Norseman – the horse that scratched the dust and unsurfaced the first gold nugget found in the area that lead to the gold rush and the establishment of the town. We roamed the IGS supermarket for a short while, but there wasn’t a lot we needed. There were no other air conditioned shops to loiter in and by this stage it was 2pm and bloody hot. We’d spied a swimming pool in the grounds of the motel next to the caravan park. Craig went over and asked if we were able to use it. The answer was yes so long as we bought a couple of drinks every now and then. Brilliant. The next few hours were spent very pleasantly swimming in the pool and downing a few cold beers and having a chat with some of the other travellers.